Kessil is the only company to manufacture all LED arrays in-house with custom spectral blends specifically tailored to meet aquarist needs. The advanced thermal design of Kessil LED lights prevents them from heating up your tank and also ensures they’ll shine brightly for years to come. 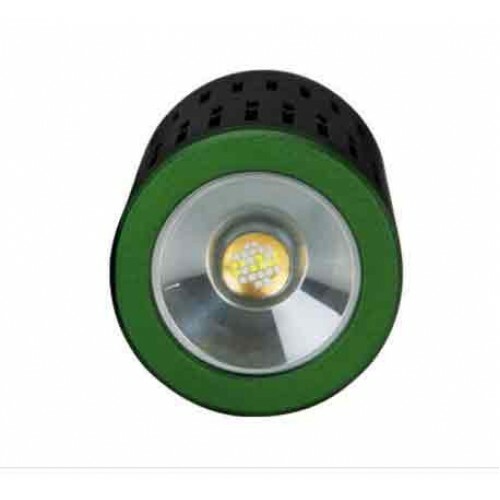 Kessil light is densely packed and features a high-power LED array that creates the beautiful shimmery effect of metal halide lighting without the excessive heat and power consumption. Highlight the kaleidoscope of colors in your coral reef with Kessil LED reef lighting. Kessil uses a proprietary blend of UV light enhances plant growth and color. Control from 6000K-9000K along with intensity. Patented Dense Matrix LED™ technology concentrates multiple LED chips into an array, creating a powerful light source with better and deeper penetration, without sacrificing coverage. E-Series LEDs are 15% brighter. Kessil led pendants are High performance and low maintenance. Simple and compact units feature quiet operation, innovative heat management and efficient, long-lasting LED construction. 1. Remove contents from package. 2. To install the unit on wood, acoustical tile, or other similar ceilings, mount 2 metal hooks that have diameters of at least 2.5 mm and thread numbers of at least 6 and hang the unit by its brackets on the hooks. 3. For sufficient airflow, the intake and venting holes should be at least 12 in. from surrounding obstructions. 4. KESSIL recommends that the unit be placed at 1 to 2 ft. above the object to be illuminated. 5. Connect the unit to the specified DC power supply. 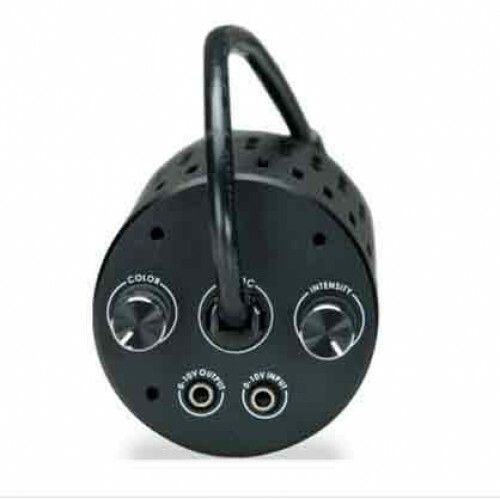 6.Plug the power supply into an outlet with the right specifications. 1. Keep air vent and fan clear of dust. To clean the fan, insert the tip of a CO2 dust blower (or similar dust blowers) in one of the slots on the unit’s outer shell. Hold and spray. 2. Keep the diffuser clean. If the diffuser becomes contaminated with water, dust or other particles, clean it with isopropyl alcohol. Wet a cotton swab or a napkin in isopropyl alcohol and gently wipe the surface of the diffuser and let it dry. 1. DO NOT use a power supply that is outside the specifications. This is a fire hazard and may lead to unit failure. 2. DO NOT use outdoors. This unit is intended for indoor use only. 3. DO NOT expose unit to an extremely humid environment or submerse unit in water. This may lead to unit failure. 4. DO NOT place working illuminator in close contact with any objects. This may cause the objects to heat up and the unit to overheat. 5. KEEP diffuser away from sharp objects. This may break the diffuser and lead to unit failure. 6.DO NOT cover or place objects on the power supply. Power supply should not be contained in an airtight space.